This life-size Brown Bear from taxidermist Josh Gustad was an imposing figure near the entrance at the Moffat County Pavilion Saturday. Gustad's work won first place in the Masters division for life-size in the Colorado State Taxidermy Championships in Craig. Home to some of the best hunting in the state of Colorado, Craig proved once again it is home to some of the best taxidermists to take care of your trophy afterward. 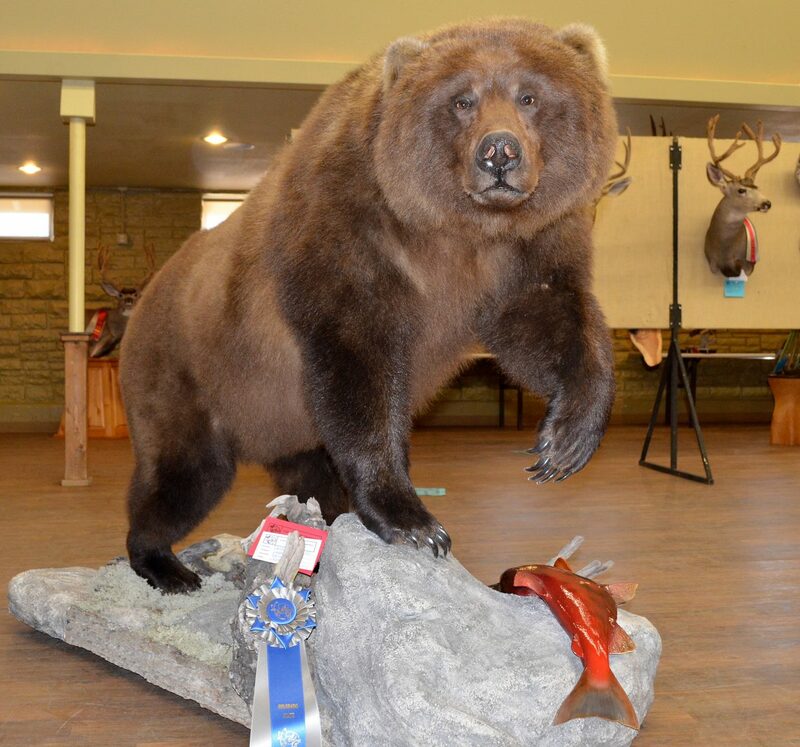 Craig hosted the Colorado State Taxidermy Championships for the second straight year at the Moffat County Fairgrounds Pavilion and with some of the most stunning work being done across the country, a couple of Craig men proved their work is among the best. Mark Zimmerman, of Bullseye Taxidermy, took three first-place finishes in the Masters division, while Scott Moore, of Mountain Man Taxidermy, had three second-place finishes in the Professional division. While the categories in the show cover animals of all sizes, including fish and birds, it was no big surprise that Zimmerman and Moore made their mark with shoulder mounts of the big game most commonly hunted in Moffat County — elk. “We definitely get a lot of practice on them,” Moore said about the animals with which the Craig taxidermists saw success. Zimmerman’s first-place finishes came in the Masters division gamehead categories for elk, antelope and mule deer. Moore also had an elk and mule deer place, and a second pedestal elk was another second for him. With some beautiful taxidermy work on display, including a life-size brown bear and a life-size springbok, an antelope gazelle found in southwest Africa, along with some of the more common Colorado fare such as bobcats and a mountain lion, the show in Craig gave visitors a look at some of the best work being done today.